A night with Piazzolla, today October 9, 2012 in the unique backdrop of the hall of Palazzo Medici Riccardi in Florence. The free concert ” Vuelvo al Sur”, is meant to be a right homage to the Argentinian composer. Guitars, accordeons, basses, violins, violas and cellos will celebrate in a concert the virtuoso of bandoneon, on the fifth anniversary of his death. The protagonists Angelo Colone, Massimo de Lorenzi, Giuliana Soscia, Andrea Avena and the Quartet Pessoa made up of Marco Quaranta , Rita Gucci, Achilles Taddeo and Kyung Mi Lee are going to perform Piazzolla’s unique language. His tango pieces are a challenge for the group; the task of communicating the successful mixture of different musical genres and composition types is not an easy one. 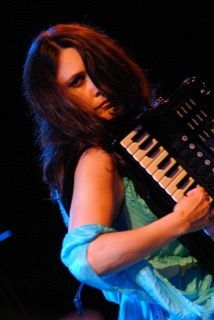 The unique synthesis of tradition and innovation stands as a vanguard work where the tango framework is able to successfully embrace contrasting elements such as jazz and classical music. The tango- in Piazzolla’s own words -becomes a music to be listened more than danced. The final result is definitely fascinating. His hectic life, his continuous travelling abroad from the native Buenos Aires to New York, from Paris to Italy are just hints reflecting the never-ending research, the longing for experimentation. His biography includes incredible characters such as Carlos Gardel, Julio de Caro , Anibal Troilon, Arthur Rubinstein, the legendary French composition teacher at the Fontainbleau conservatory, Nadia Boulanger, the writer Jorge Louis Borges, the poet Horacio Ferrer, Gerry Mulligan, the founder of cool jazz, just to name a few. 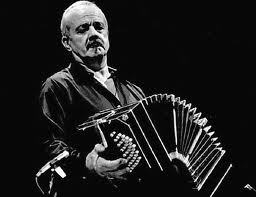 Astor Piazzolla is surely a myth to be discovered and loved. Questa voce è stata pubblicata in Culture in Tuscany e contrassegnata con Astor Piazzolla, Gerry Mulligan, Vuelvo al Sur. Contrassegna il permalink.